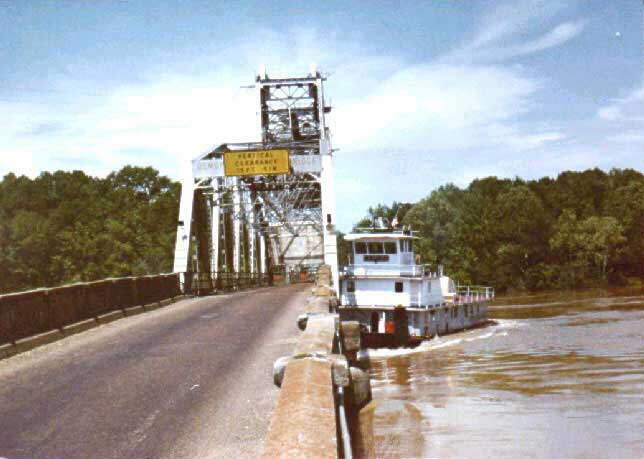 A Towboat hits a bridge, topples over and passes the bridge submerged but gets upright and regains control... just unbelievable! but that someone was able to take the sequence of pictures. Look at each picture slowly and completely - in order to the end. If not for the photos no one would believe this!!! 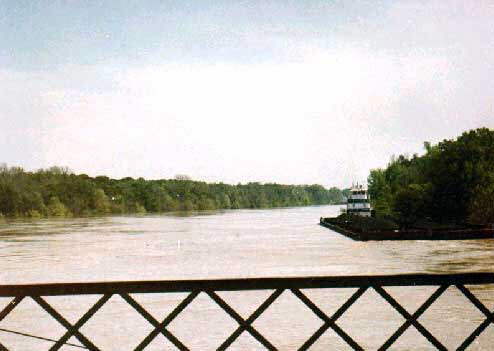 The towboat is approaching the bridge with barges loaded with coal. 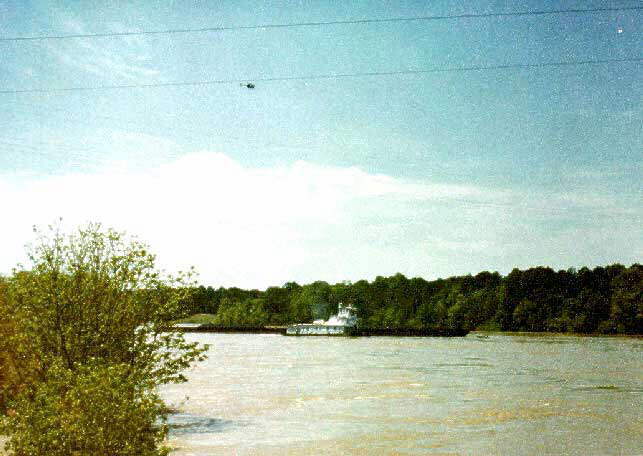 This frame gives you an idea of how fast the river is running Obviously at or near flood stage. Oh CRAP!!! 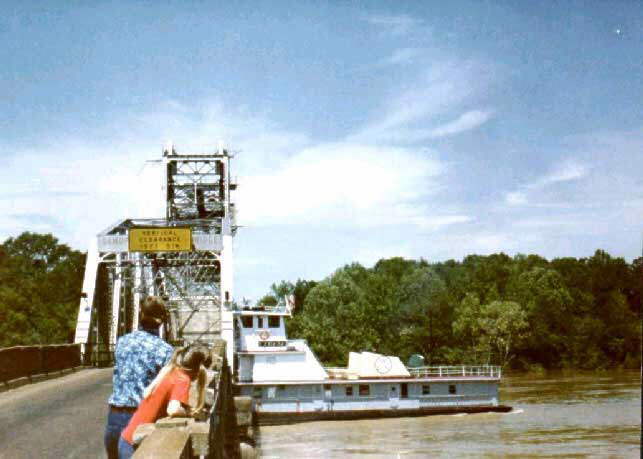 ?The bridge didn't open and the boat can't stop. 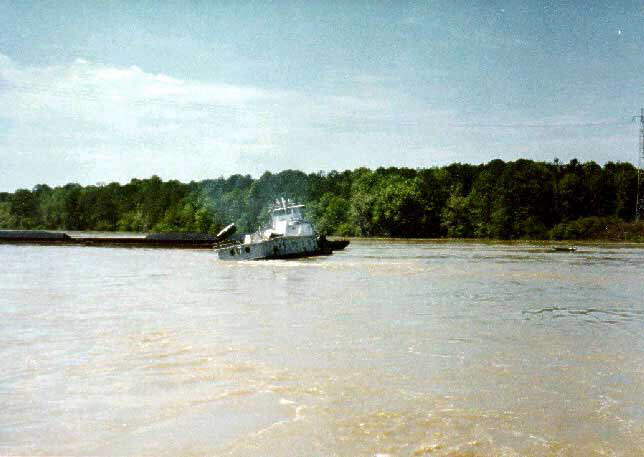 Notice that the tug has released the barges. 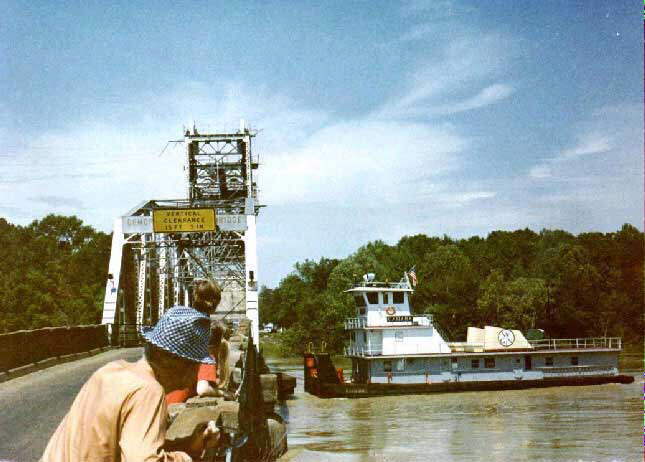 He is backing as hard as possible to try and avoid a collision with the bridge. Can't back down enough against the current. Uh Oh! ! The current has swung the boat around sideways. The cook thinks maybe something isn't quite right. The boss is going to be REAL mad! Uh... Boss? Do we have flood insurance on this boat? Tug is going under bridge!! Uh.... Boss? You ain't gonna believe what we just did! Tug came out other side!! She's low, but the flag is still flying. The wheelhouse door and the door in the second deck are now open. 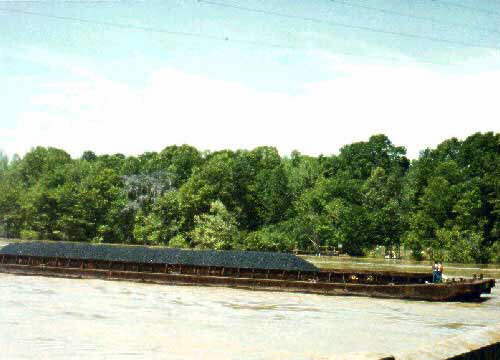 Look close at the bottom righthand side of the picture and you will see that the bridge guardrail is underwater. Look at the water pouring out of the second deck doorway. The working deck is still underwater, but rising. 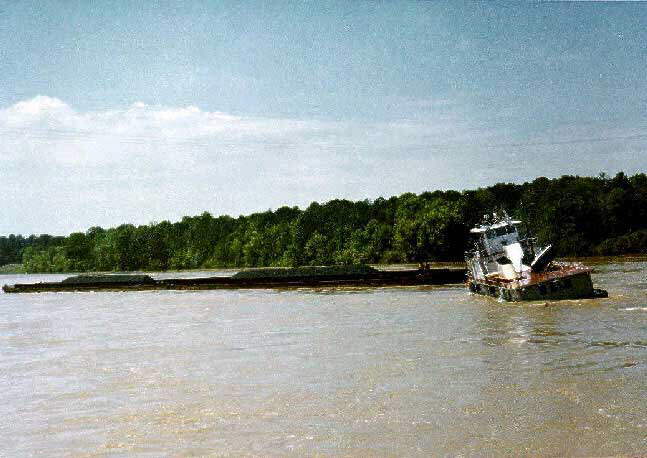 Ths company that built this Tug should get the government contract to build our battle ships. Notice anything unusual? Look at the smoke coming from the exhausts This thing is running!!! 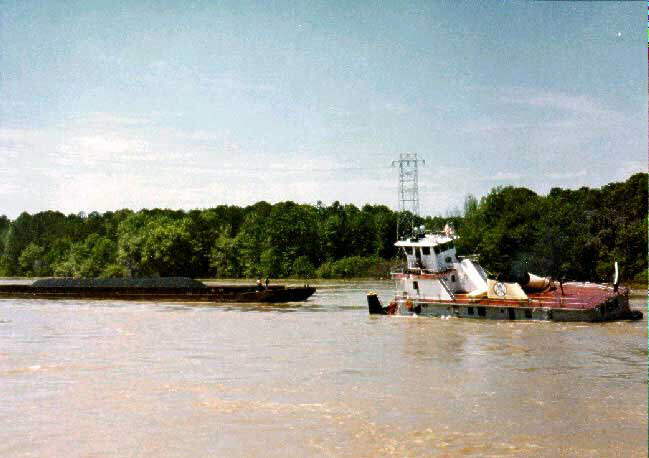 Notice the propwash at the rear of the tug. The boat is upright and back under power. Ho Hum. Just another day on the river. Do you suppose the captain had to change his pants after all that ? 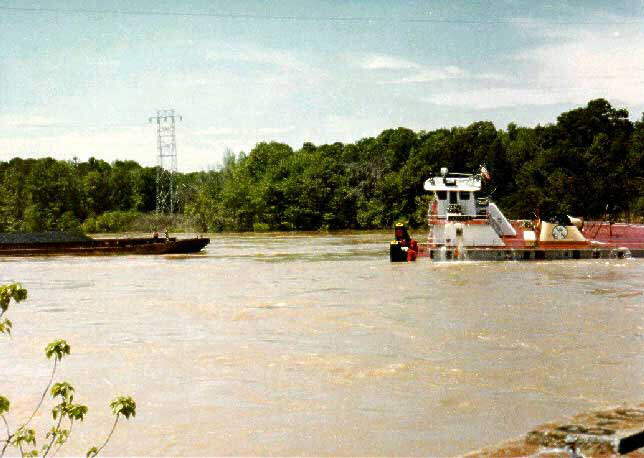 The tugboat hitting the bridge, going under, then RECOVERING was amazing. Thanks for sharing!